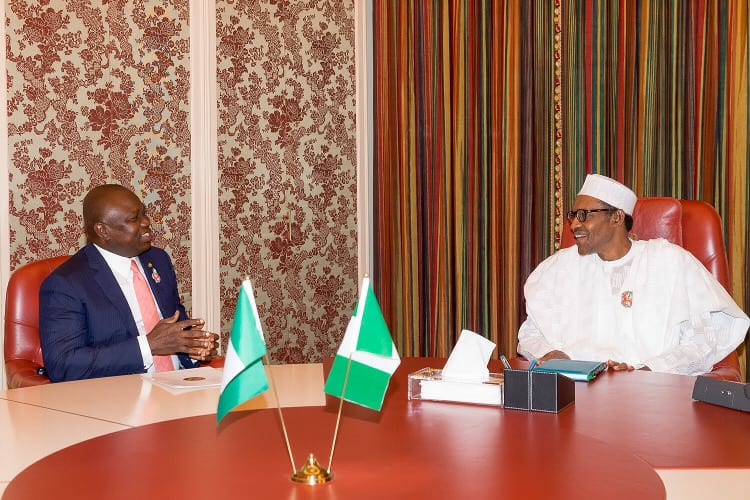 Less than two months to the end of his administration, Governor Akinwunmi Ambode of Lagos state, has opened up on the state’s debt profile, saying his administration never took any foreign loan all through his four years reign. Ambode in an interview with Business Day, said the $1.43 billion external debt stock of the state is an accumulation of loans from previous administrations, which he never added to. Legit.ng gathered that he said despite pressure on the state’s Internally Generated Revenue (IGR) due to massive infrastructure projects, the administration set out to accomplish to cater to the growing needs of the estimated over 21 million residents of the state. He said: “One of the strategic instruments in that development plan is to create a financial model for Lagos state. “Remember also when we came in, the revenue that was generated on a monthly basis was about N12 billion and then it moved to almost like N20 billion. Today, we are having an average of N30 billion to N35 billion a month but it is not as if the expansion is based on increase in rates or taxes. He said Lagos is also favoured by the fact that people are likely to be more attractive to the capital market and also more attractive to commercial banks and the ability to pay back would always give more resources to be able to get funding for most of these projects that we have done. Meanwhile, Legit.ng had previously reported that the Ambode, congratulated the APC governorship candidate in the state, Babajide Olusola Sanwo-Olu, for emerging victorious in the Lagos governorship election.